Sam Daley performed final color grading for About Alex, a comedy-drama from first time writer-director Jesse Zwick. Daley also graded Ballet 422¸ the latest documentary from Jody Lee Lipes (NY Export: Opus Jazz) about 26-year-old choreographer Justin Peck’s work with the New York City Ballet. Sean R. Smith graded another feature length documentary, Famous Nathan, about the iconic Coney Island restaurant. 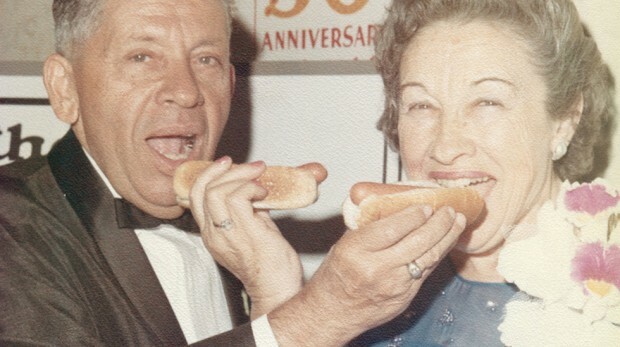 The film marks the directorial debut of Lloyd Handwerker, whose grandparents founded Nathan’s. Two more films were finished at The Room, the boutique finishing facility located within Technicolor-PostWorks, New York. Allie Ames graded Day Ten, Arian Moayed’s poignant short about a man coping in the aftermath of 9/11. Colorist Jack Lewars, meanwhile, reunited with award-winning documentarian Alex Gibney on his latest project, an as yet unnamed, work in progress film about the late soul singer James Brown. Conforming was performed by The Room’s Allie Ames and Jeff Cornell. The Room has collaborated with Gibney on nearly a dozen films.